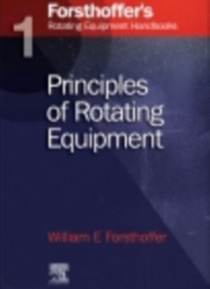 'Fundamentals of Rotating Equipment' is an overview of the main types of rotating machinery in industry, and covers such aspects as system dynamics, surge control, vibration and balancing, radial bearing design, performance parameters, rotor system design and operation, rotor axial (thrust) forces, performance objectives and mechanical restraints, auxiliary systems and seals.This book will enhance… rotating equipment reliability and safety throughout the many industries where such equipment is vital to a successful business.Over recent years there have been substantial changes in those industries which are concerned with the design, purchase and use of special purpose (ie critical, high-revenue) rotating equipment. Key personnel have been the victims of early retirement or have moved to other industries: contractors and end-users have reduced their technical staff and consequently have to learn complex material 'from scratch'. As a result, many companies are finding that they are devoting unnecessary man hours to the discovery and explanation of basic principles, and having to explain these to clients who should already be aware of them. In addition, the lack of understanding by contractors and users of equipment characteristics and operating systems often results in a 'wrong fit' and a costly reliability problem. The stakes can be high, and it against this background that this book has been published. It is the outcome of many years experience and is based on well-honed teaching material which is easily readable, understandable and actually enjoyable!This is a five volume set. The volumes are: 1. Fundamentals of Rotating Equipment 2. Pumps 3. Compressors 4. Auxiliary Systems5. Reliability Optimization thru Component Condition Monitoring and Root Cause Analysis* A distillation of many years of on-site training by a well-known US Engineer who also operates in the Middle East. * A Practical book written in a succinct style and well illustrated throughout. * An overview of the main types of rotating machinery in industry.